WFSA - SAFE Paediatrics is launched in South Africa! The SAFE Paediatric Anaesthesia course is a three-day course which aims to provide refresher training in the essentials of paediatric anaesthesia which emphasises the principles of safe care for children, in particular, assessment, vigilance and competence in essential skills. This article is written by Clover-Ann Lee, the lead on the SAFE Paediatrics project in South Africa. South Africa has been described as the world’s most unequal society; 55.5% of the country’s 57 million people live below the poverty line, with 25% living below the food poverty line. On the Gini coefficient, the measurement for income distribution where 0 is evenly distributed and 1 is uneven, South Africa had a coefficient of 0.63 in 2015. While South Africa is renowned for the quality of its healthcare services and healthcare providers, access to these services is limited for a large percentage of the population. For South Africa’s 57 million people there are just over 1,300 anaesthesiologists in the country, a number already well short of the WFSA-recommended 5 per 100 000 population. Over 80% of these anaesthesiologists work in the private sector, which services around 16% of the population. There are approximately 250 anaesthesiologists working in the public sector nationally, and nearly all of these are in major urban centres where central and tertiary hospitals, and thus specialist services, are based. Anaesthetic care outside of these major centres is largely provided by non-specialist medical officers without formal paediatric anaesthetic training. Our goal is to improve the safe perioperative care of our children by empowering anaesthesia providers through SAFE training. 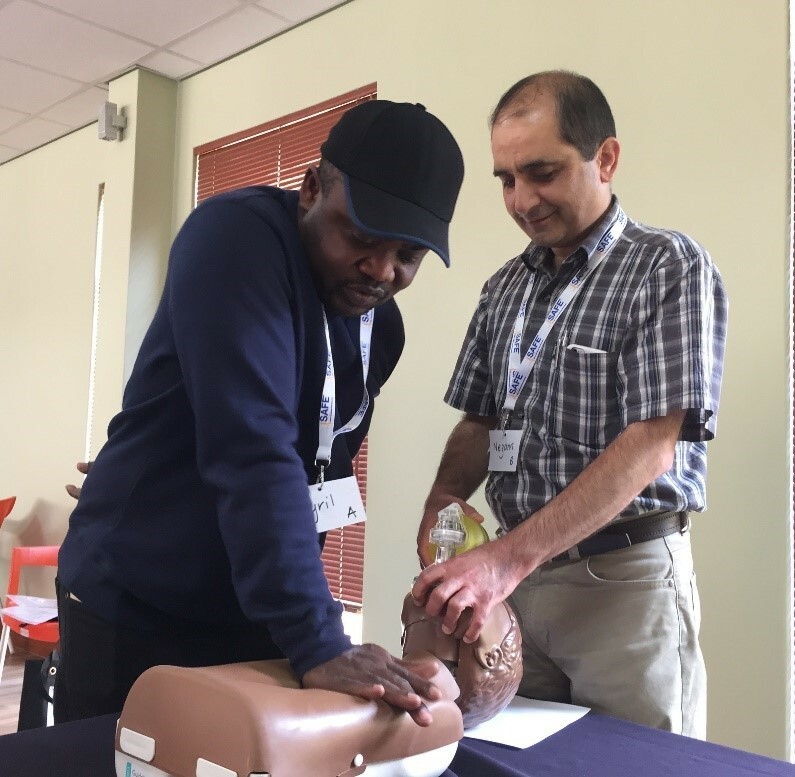 With the help of the WFSA and THET, our team, comprising of a strong local and international faculty, has delivered three SAFE Paediatrics courses in the second half of 2018. 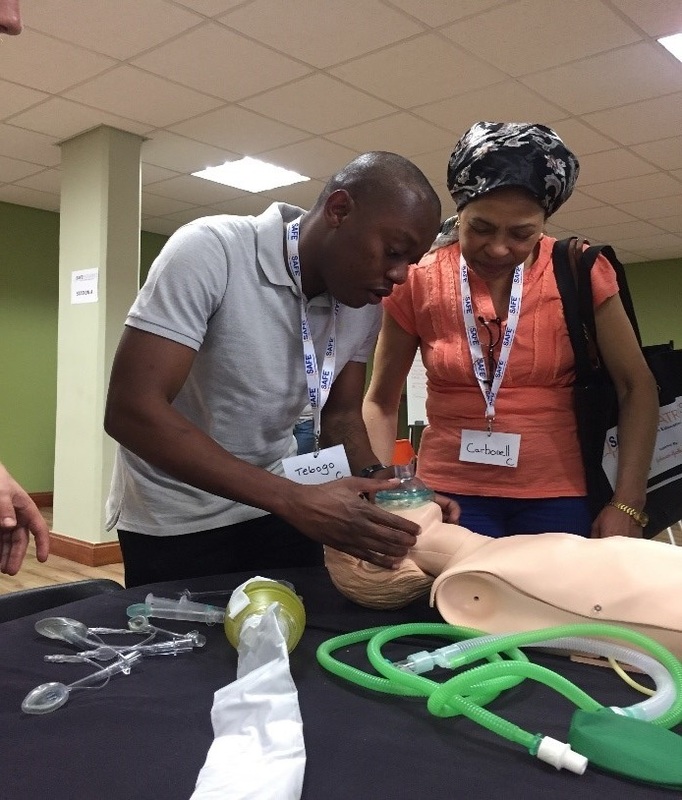 We have trained 82 doctors from various regions of South Africa, and have further courses planned for 2019 and beyond. The results of our pre- and post-course tests have demonstrated significant improvements after the course, particularly in the skills stations, with the largest improvement seen in neonatal resuscitation. As the most commonly performed surgical procedure in South Africa is the Caesarean section, we hope that this course contributes not just to the safe perioperative care of children, but to the outcomes of neonates after delivery. Pictures of the SAFE Course in South Africa.